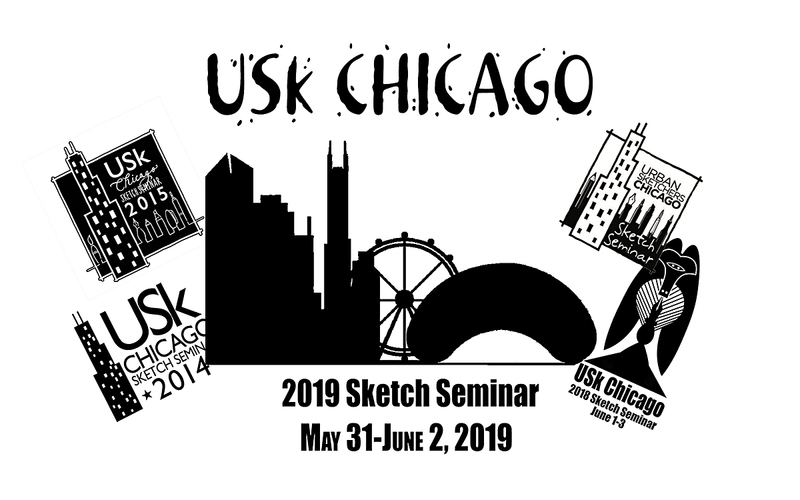 If you've been keeping up with Chicago Sketch Seminar 2019 you do! 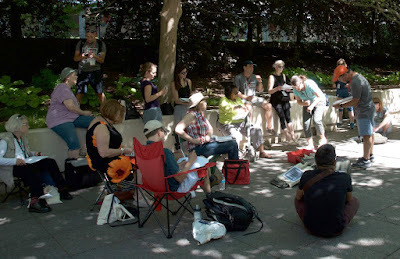 If not meet the seminar instructors and read the workshops descriptions on the Seminar Blog. Our generous seminar sponsors will be posted there, too, as well has helpful hints for a successful seminar experience. Stay up-to-date and in-the-know! Are you ready? Registration doors open Saturday, March 16 at 10:00 a.m. Chicago time (CDT). All eighteen (!!!) workshop descriptions are listed here on the Seminar blog. With so many exciting choices it’s helpful to go the list and make your choices now. You may want to make a few back-up picks in case you are closed out of some workshops. The schedule is there, too. You can scroll down and see previous posts or click on the tabs at the top of the blog for more registration information. We’re ready to get this party started. How about you? Making decisions on which workshops to choose when you register is hard work, especially when the choices are all enticing! Starting tomorrow we’ll be posting information on the individual workshops; two a day, every other day. Follow the Seminar blog and you’ll have details on all eighteen workshops before registration opens. It probably won’t make the job easy but it should help you decide what’s best for you! 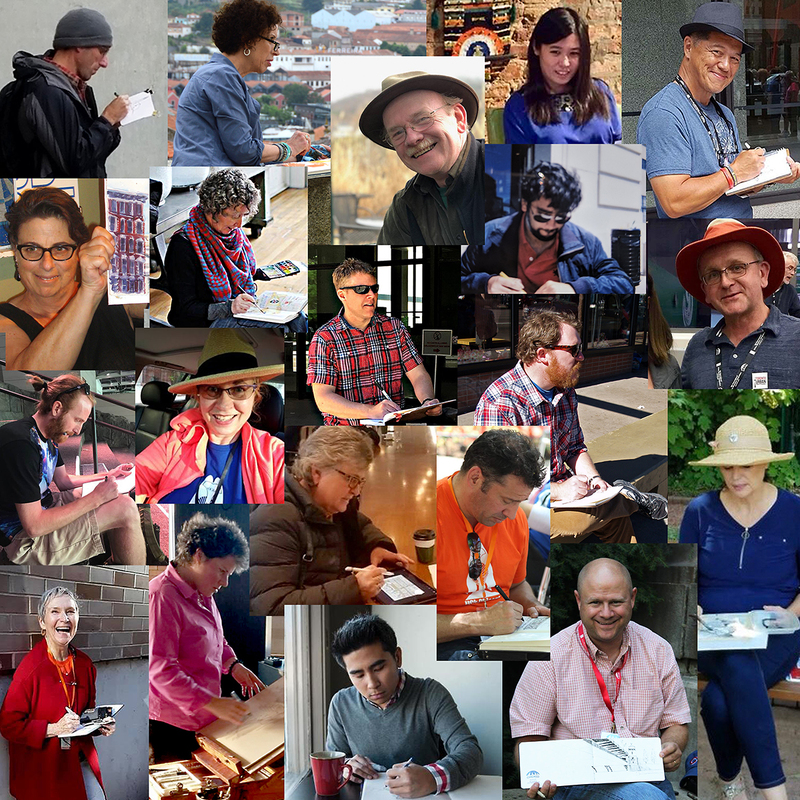 Follow us on Instagram @uskchicago too! Eenie, Meenie, Miney, Mo, to Which Workshops Will You Go? Here’s the workshop lineup for the 2019 Sketch Seminar. what four will you choose? Brian Wright & Suzala Zahler – Composition Tells the Story! Jingo de la Rosa – Think with your hands! Mark Jones– Go BOLD with Color Pencils! Paul Heaston – Umbrella Perspective, Chicago Style! Stay tuned, more details and registration information coming soon! It’s hard to believe that we are getting ready for our fifth seminar. 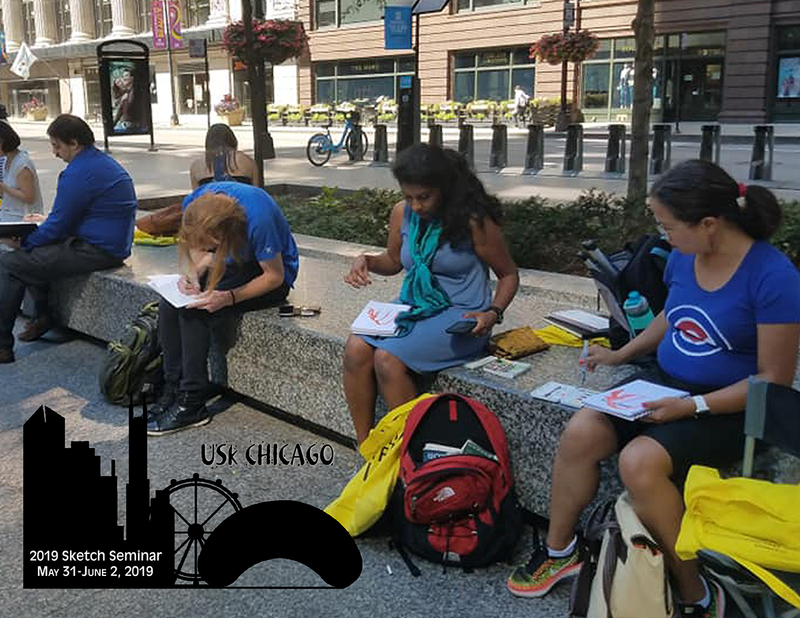 We started our seminars to introduce urban sketching to more people and to offer affordable workshops to local sketchers. We’ve done that an more! and more so stay tuned! We are inviting you, our experienced instructors and new ones, to submit a proposal and share your love and knowledge of Urban Sketching. Teaching propsals have been rolling in and we excited by the variety and the new ideas. If you’re working on a proposal or are thinking of submitting one now’s the time! The deadline for proposals is January 31, just one week away. This link will take you to our proposals submission form, it will guide your proposal. 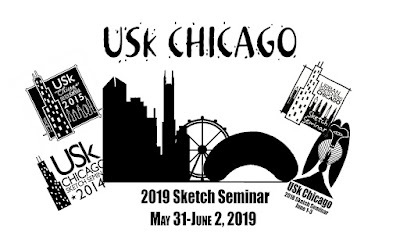 USk Chicago instructors, this is a CALL FOR WORKSHOP PROPOSALS to teach at the 2019 Chicago Sketch Seminar (May 31 – June 2, 2019). The Chicago Sketch Seminar is an annual educational event for Urban Sketchers. We are looking for a variety of Urban Sketching topics. 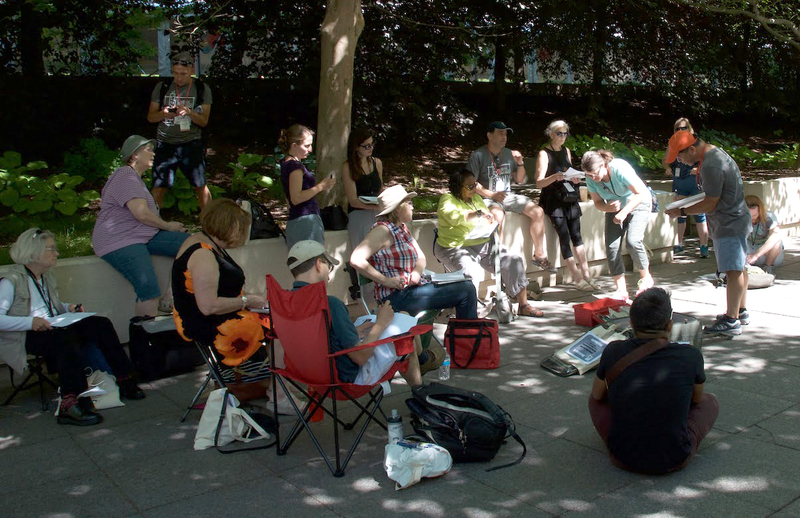 The workshops will be given outdoors, in the streets and parks around The American Academy of Art at 332 South Michigan Avenue. The workshops are typically 2½ – 3 hours long, with a maximum of 15 students. 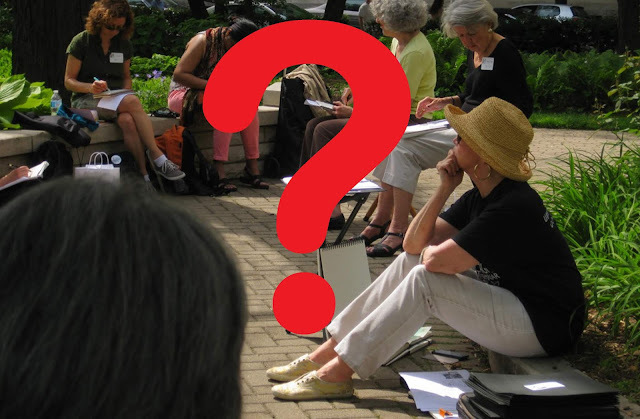 Depending on a number of workshops submitted, there will be a selection process. If you have questions about creating a proposal or about details of your workshop, please talk to Alex Zonis or Barbara McCafferty Weeks.